An organisation founded at the twilight of the 19th century, the Society for Psychical Research has succeeded in at least one area far beyond many similar organisations—longevity. The outfit is still in existence today and in fact has spawned sister organisations in other nations, all with the same purpose, to seek the truth and hopefully, proof behind psychic phenomena. Unlike many other organisations with similar goals, the SPR was founded by a large group of members in order to accomplish its goals. The Society was formed in 1882 by men like Frederic William Henry Myers, Edmund Gurney, William Barrett, Henry Sidgwick and Edmund Dawson Rogers; men who shared similar interests in the psychic. Headquartered on Marloes Road, London, the Society has branched out across England and into France and America. For over 120 years the various Societies have published journals and periodicals to share the results of their findings and warehouse their archives in the Cambridge offices of the SPR. The French branch is the Society for Psychical Research and the American branch is, as might be surmised, the American Society for Psychical Research. 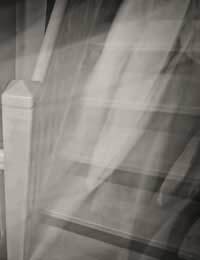 The SPR was founded to seek the truth behind paranormal activity, but there were a few specific areas the founders were interested in investigating. The principle goal of the SPR is “understanding events and abilities commonly described as psychic or paranormal by promoting and supporting important research in this area." Those specific areas of interest are telepathy, mesmerism, mediums, apparitions, physical phenomena typically associated with séances and the history behind all of the above. If nothing else, the members of the Society for Psychical Research are prolific writers. The main branch of the SPR publishes a quarterly periodical, the Journal of the Society for Psychical Research (JSPR). In addition the magazine Paranormal Review and the less frequently published Proceedings. The French branch puts out the Journal of the French Society for Psychical Research (Journale de la Société Française pour Recherche Psychique) and the American branch publishes the Journal of the American Society for Psychical Research (JASPR). In addition to the periodicals, the main branch holds regular lectures as well as an annual conference. The SPR is run by a President and a Council of twenty people, all in support of the one of the Society's greatest goals, which is the examination of whether humans survive bodily death. This goal reflects the era during which the SPR was founded, which was a time of spiritualists and men of education who were haunted by this very question. The Society for Psychical Research has from the very beginning set out to provide empirical proof of the paranormal. The foundation they laid has been built upon by persons with the same interests for more than a hundred years, a scientific approach to what many consider to be outside of science. Their expanded membership spanning three nations and consistent publication of their findings speaks volumes to the group’s solidity.